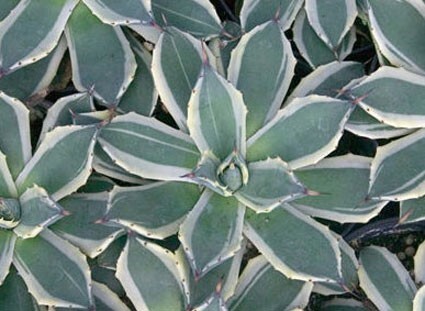 Wonderful and rare Agave.This spectacular agave displays downcurved blue-green leaves surrounded by a dramatic smooth creamy-white margin. 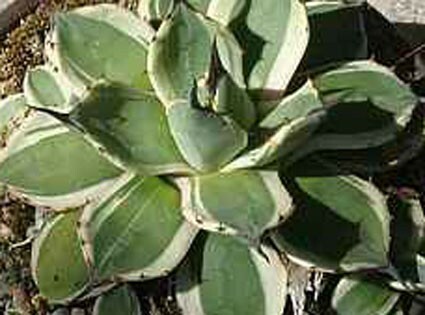 The thick leaves comprising the 12 inch clump feature maroon-black leaf tips and haarmless teeth along the margins when quite mature. 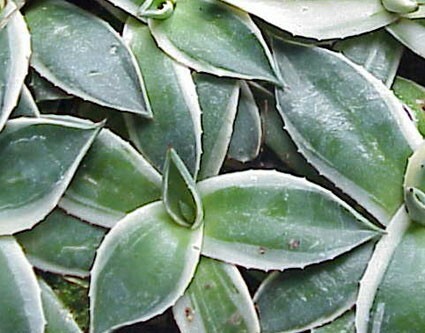 Leaf impressions from the reverse side of unfurling leaves reminiscent of fossils are evident on fully expanded leaves. 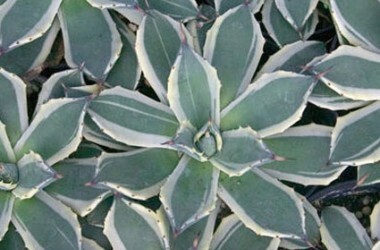 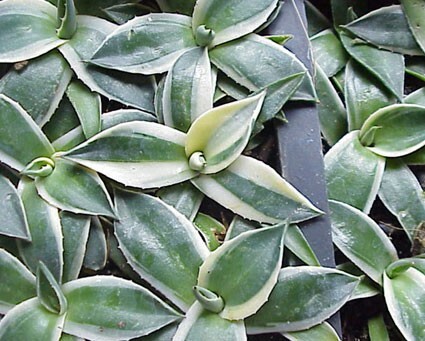 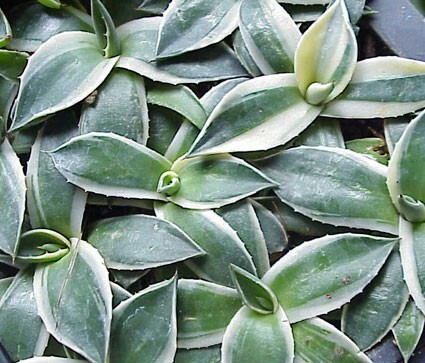 For full sun in well-drained soils in non freezing climes, or fantastic as a potted specimen.